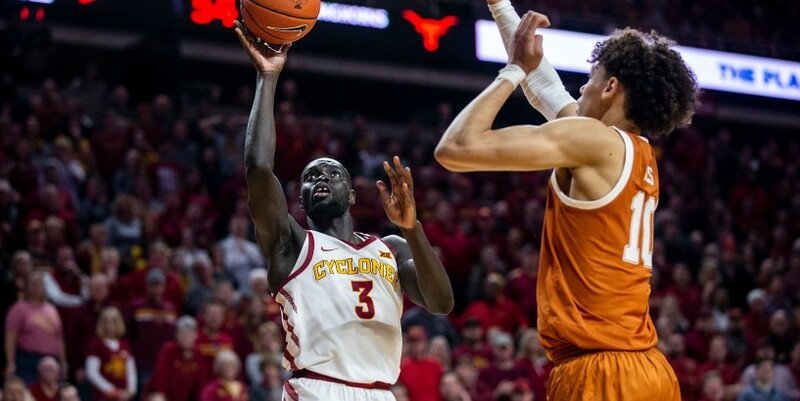 Post to Facebook Peterson: In the scrambled Big 12, Iowa State cannot afford to lose again at home Iowa State can knock Kansas off its Big 12 regular-season throne, but it starts with winning at home Check out this story on desmoinesregister.com: https://www.desmoinesregister.com/story/sports/college/iowa-state/randy-peterson/2019/02/08/big-12-conference-kansas-streak-iowa-state-cyclones-basketball-ncaa-tournament/2789148002/ Cancel Send Sent! A link has been sent to your friend's email address. CONNECT TWEET LINKEDIN COMMENT EMAIL MORE AMES, Ia. — The thought of someone other than Kansas winning the Big 12 Conference for a change got even more real Thursday night with the word that starting guard Lagerald Vick was taking personal leave from the team.